Two prominent financial experts based in Washington have stated that North Korea using cryptocurrency assets such as bitcoin to deal with the current US sanctions. Because cryptocurrency based transactions are decentralized and done through a blockchain network that is not regulated, the country is still able do business with US discreetly. 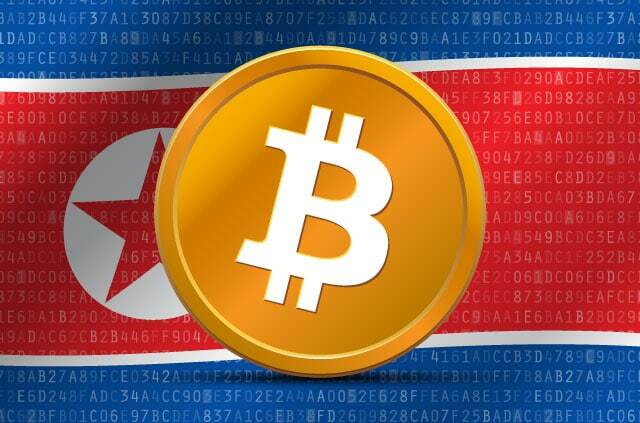 In a recent interview reported by CCN, Lourdes Miranda who currently works as a financial crimes investigator and Ross Delston, an expert in anti-money laundering especially cases related to terrorism financing stated that Pyongyang is in the process of creating its own digital current that will function like bitcoin. Cryptocurrencies is giving North Korea the much-needed privacy when doing business with not only United States but also other countries. Concisely, the country is giving DPRK more secure way of circumventing the trade sanctions put in place by President Trump and President Barrack Obama. According to Lourdes and Ross, North Korea can avoid surveillance by using multiple exchanges that operate globally as well as shifting and mixing services that mirror the well-documented money laundering cycle. By apply these tactics; it can successfully take advantage of the services offered by international financial institutions that have close relationship with United States. In another interview with The Hill, Priscilla Moriuchi who used to work with National Security Agency as a Cybersecurity official stated that North Korea could be earning between $15 million and $200 million from selling and mining of cryptocurrencies. Priscilla also went ahead to state that the country has continued to look for other ways of getting their hands on cryptocurrencies or digital currencies through ways such as mining of Monero and bitcoin. The expert also cited an incident that took place in May this year when ransom was paid in form of bitcoin after the famous WannaCry cyber-attack. A cryptocurrency class specifically for North Korean students was also commissioned and set to start offering lessons in November this year. North Korea government does not have to use the existing digital currencies such as Bitcoin and Monero, it can decide to create its own currency since it has all the technology and resources required to do so with ease. Having their own digital currency would make it possible for them to open and operate online accounts in disguise. A number of researchers who have being studying North Korea interest in the cryptocurrency industry are of the idea that the country could decide to create its own blockchain network for purposes of changing their public record of transactions. North Korea using cryptocurrency and blockchain to alter the records would make it impossible for prying financial regulators to know the real source of the funds. In addition, the country could also create its own crypto wallet services to support its digital currency. In light of the numerous opportunities that North Korea can decide to exploit, it is important for US government and international money laundering agencies to come up with robust ways of monitoring cryptocurrency transactions. However, as they seek to regulate the industry, they need to make sure that the policies do not hamper growth of the industry or make it impossible for legit cryptocurrency traders to invest in digital currencies.